Pergolas or architectural arbors are a great addition to your exterior, drawing guests into its space. Pergolas are often used in backyard spaces to define the sitting area or patio. They can be constructed over a cement or tile sitting area to provide some shade, depending on the plants grown on it. They are also used farther out in the garden, drawing people out in the yard to sit on a bench under the leafy bower. Pergolas are also used to invite people into a home or business. They may cover a sidewalk or arch over a front door. In the photos, a pergola is used to welcome people to the house and provide a front yard sitting area. It also helps to beautify the empty space in front of the garage. Sometimes the wooden arbor structures are used to direct traffic flow. They may be used between businesses at strip malls or to link public spaces in a subdivision. Pergolas can draw someone up toward the building from the front sidewalk or out from the building toward a backyard feature such as a water garden or swimming pool. For wooden structures that are built over patios or as resting spots in gardens, durable outdoor furniture is best. Iron benches or cafe table and chairs provide function and can endure different seasons. Pillows can be added in good weather. Besides seating, garden artwork, such as small metal sculptures or candle holders, may be added to a post of the pergola. New artwork being showcased at art fairs or garden centers is capable of weathering whatever the out-of-doors may bring. Pergolas are made for climbing plants. What type of plant you choose depends on the area in which you live. Clematis, climbing roses, climbing hydrangeas, snapdragons, vines, and morning glory are all possibilities. You can plant multiple types of plants on one pergola or stick with one theme. Don’t forget to use hanging baskets on the pergola while to add interest higher up as the climbing plants are still growing. Potted plants also add color to a concrete or tile floor. You are looking for a decorative idea for your garden this summer to enjoy the outdoor space without losing the cool and with a low budget. Then pergola is a great choice. 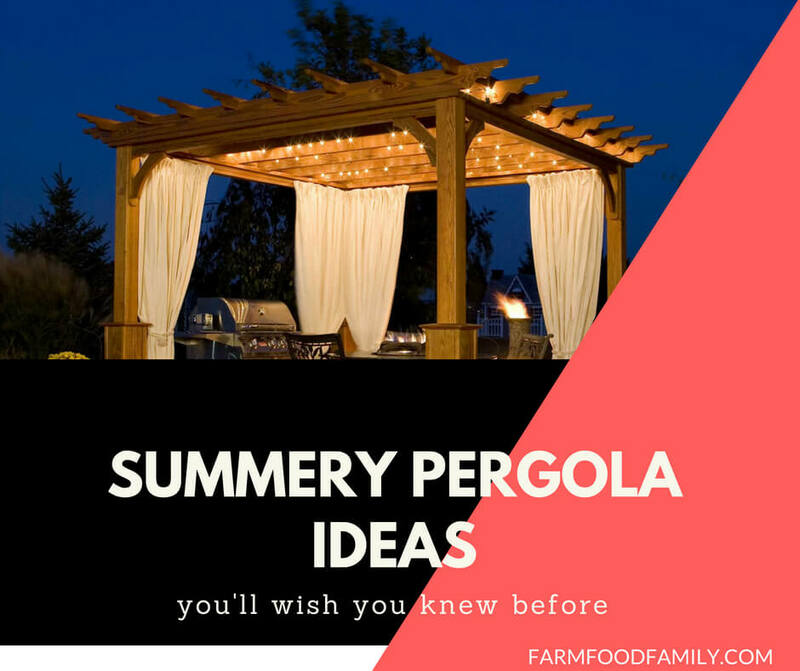 We’ve gathered these 36+ pergola ideas from many sources with the greatest sharing.